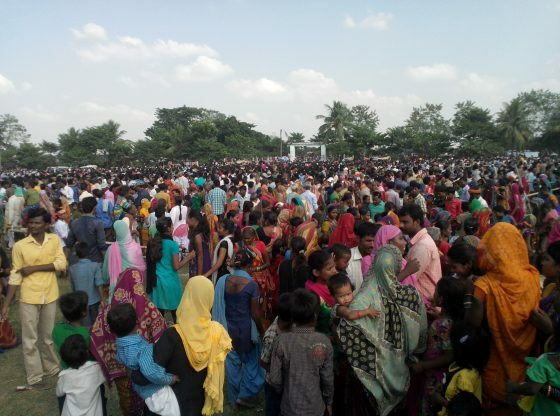 Image Caption: Men, women and children at a Lalu Prasad Yadav rally, Mahtawa, Bihar, India – 1 November 2015. Electoral coalitions have remained a feature of Indian politics since 1989. The present government, led by Narendra Modi, is a coalition of almost 30 political parties called the National Democratic Alliance (NDA). Modi’s Bharatiya Janata Party (BJP) is by far its largest constituent. The Indian National Congress (INC) led by Rahul Gandhi is the single largest opposition party and it heads the United Progressive Alliance (UPA), a coalition of 28 parties. Most other political parties remain unaffiliated. In this piece, I want to reflect on the possibilities of a Third Front beyond the BJP and the INC in India’s 2019 elections. By possibilities, I mean not so much the calculations underpinning the electoral calculations or the tortuous negotiations that are likely to precede and/or follow the elections, but the possibilities that formations such as the Third Front hold out for people at large. The lower one moves down the class hierarchy, the more likely one is to imagine possibilities beyond Congress and the BJP. Much of the academic, journalistic and policy commentary on the Third Front tends to disparage the very notion as nonsensical. Formations such as the Third Front are viewed as opportunistic alliances between unscrupulous politicians, a platform on which political leaders with sinking fortunes can gather together to desperately hold on to power, a cabal of crooks as it were. Such formations have been criticised for allegedly weakening central government, economic performance, social cohesion and national unity. 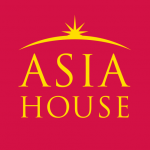 Although some authors have emphasised the centrality of such formations to the processes of democratic deepening that enabled members of historically oppressed communities to stake a claim to power, most commentaries remain sceptical of analysing these coalitions as anything other than the impulse for self-preservation among crooked politicians. According to such narratives, the INC and the BJP appear to be the only legitimate players in Indian elections. Such a characterisation is odd when we consider the electoral behaviour of voters in India. The BJP and the Congress between them barely obtain more than half the total votes polled. Even in 2014, when the BJP swept to power in the Lok Sabha with a crushing majority, the party only won 31 per cent of the votes while the Congress won 19.3 per cent. Between them, the two parties won just over 50 per cent of the vote. The strategic alliances forged by the BJP ensured that the NDA vote share exceeded 38 per cent of the votes polled while the INC’s coalition partners brought the UPA an additional 4 per cent of the votes, bringing the UPA share to 23 per cent. Clearly, nearly half of all Indian voters did not vote for either the BJP or the INC, and nearly 40 per cent of voters voted beyond the alliances struck by the Big Two. The proportion of voters who refuse to be constrained by the INC/BJP dichotomy is vast indeed. It is towards these constituencies that formations such as the Third Front are primarily oriented. A class/caste pattern is clearly discernible here, as E. Sridharan’s analysis of National Election Survey data suggests. The lower one moves down the class hierarchy, the more likely one is to imagine possibilities beyond Congress and the BJP. These class-based trends can be observed across communities. Similarly, the higher one moves up the class hierarchy within each community, the more one is likely to remain constrained within the INC/BJP divide. Table 1 shows levels of support for the BJP, the INC and beyond by class and caste. Table 1 also alerts us to differences in electoral behaviour between communities within the same class group, which are too salient to be ignored. 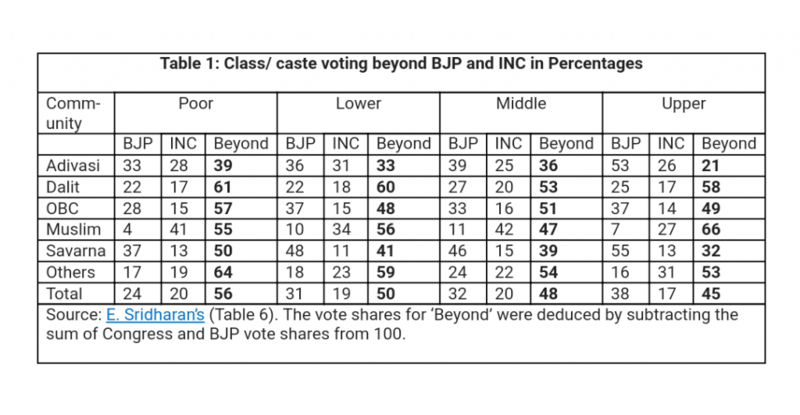 Upper-class voters from Muslim and Dalit communities are far less likely to be constrained within the INC/BJP divide than their Savarna or Adivasi counterparts. Likewise, the Dalit and OBC poor appear to be more able to imagine possibilities beyond Congress and the BJP than the Adivasi or Savarna poor. Indeed, the political imaginations of poor people from Dalit, OBC and Muslim communities (who have sometimes been referred to as Dalit Bahujan communities) appear to be much more utopian than those of the upper and middle classes among the Savarnas, who control public discourse in India through such channels as academia, the media and policy think-tanks. If formations such as the Third Front continue to be scoffed at among privileged circles, the class/community basis of its support might help to explain why. That most people, especially from the labouring classes, refuse to be framed within the BJP/INC binary is borne out by findings from a research project on citizenship of which I was Principal Investigator. In April 2017, a month after the Vidhan Sabha elections to the state legislative assembly concluded in Uttar Pradesh and Yogi Adityanath was sworn in as the state’s Chief Minister, one of the ethnographers on the project reported an exchange from Ludhiana in Punjab between a vegetable vendor (of the Dalit Raidas community, we call him Bhullan) and a head loader (of the Savana Brahmin community, we call him Om Prakash) employed in one of the city’s hundreds of flour mills. Om Prakash insists that the BJP is the only party that could govern India since the alternative, Congress, is incompetent. While Bhullan does not deny the incompetence of Congress, he vehemently disagrees that the BJP is the only alternative. Elsewhere, Bhullan notes the continuing relevance of leaders such as the Rashtriya Janata Dal politician Lalu Prasad Yadav, thereby signalling a political imagination that refuses to be constrained within the BJP/INC binary. As I have noted in my recent monograph, poor people’s politics in electorally crucial states such as Uttar Pradesh, Bihar and West Bengal exceed the binaries within which the upper and middle classes find themselves restricted. Indeed, elections reflect ongoing social processes as well as political imaginations. Therefore, commentators need to be appreciative of the social processes at work if over half of all Indian electors vote for parties beyond the Big Two. The social significance of the heightened parleys among political parties working towards coalitions beyond the BJP and the INC – and indeed beyond the NDA and UPA – cannot be dismissed. The coalition between the Samajwadi Party (SP) and the Bahujan Samaj Party (BSP) in the crucial state of Uttar Pradesh may well emerge as the nucleus of a broader nationwide electoral understanding among state-level political parties. Whether or not such electoral understandings topple the NDA government is beside the point. Rather, what they suggest is an incisive analysis of people’s electoral behaviour by politicians favouring the Third Front. Refusing to be framed by the BJP/INC dichotomy, they signal that people, especially poor people from Dalit, OBC and Muslim communities, are willing to entertain possibilities beyond the either/or narratives that are limited to Rahul Gandhi and Narendra Modi. Indrajit Roy teaches in the Department of Politics at the University of York. Image Credit: Zaheeb Ajmal, National Herald.